Today, Apple and The Conservation Fund are announcing a collaboration designed to help America’s working forests stay working forests. For Apple, this is the beginning of a worldwide effort, one that represents a new approach as it reassesses its impact on the world’s paper supply chain. Apple is focused on using only the resources it needs, and ensuring that it adds to the world’s resources whenever possible. That leads to some innovative places. For instance, Apple recently announced all U.S. facilities and operations are powered by 100 percent renewable energy, and, increasingly, that’s new, clean energy which Apple has helped add to the U.S. grid. Apple believes that paper, like energy, can be a renewable resource. So Apple is striving to supply 100 percent of the virgin fibers used in its paper and packaging from sustainably managed forests or controlled wood sources. But Apple is going beyond simply purchasing renewable resources to actually protecting and increasing the acreage of sustainably managed working forests. 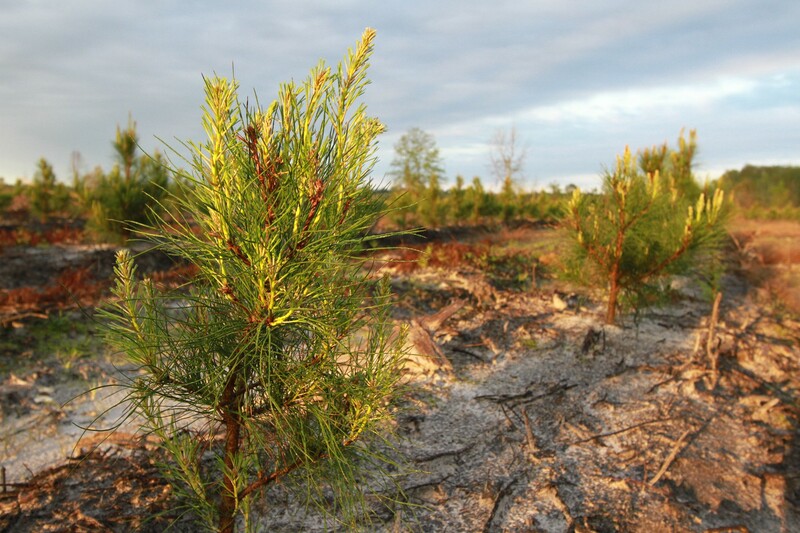 The Conservation Fund has developed an entirely new, private sector-based approach to conserving forests — raising corporate and charitable funds to purchase and manage these forestlands sustainably so they can thrive and continue fulfilling their vital role in the ecosystem while supplying business paper and packaging needs. The threat to America’s working forests is one of the most overlooked and urgent environmental stories of our time. We are in the midst of one of the greatest land transfers in history. In the last 15 years, we’ve already lost 23 million acres of forestland that provided the pulp, paper, and solid wood material for products we all use. That’s roughly an area the size of Maine. As land continues to be sold and change hands at an alarming rate, an estimated 45 million more acres are currently in the crosshairs of development. Our working forests clean the air we breathe, provide critical habitats for wildlife, and filter the water for over half of Americans. They also are important to the economy, supplying 2.8 million jobs, fueling mills, and sustaining hundreds of logging towns. Working forests are different from the protected national forests we visit with family and friends. Privately held, they represent the last large, intact forests left in America — and they are at grave risk. Solving this conservation challenge requires some of our most innovative thinking. Business and conservation must work hand in hand. This partnership is mutually beneficial. Apple is quantifying the virgin paper footprint from its packaging. Apple is committed to zeroing out that impact by using paper more efficiently, increasing recycled paper content, sourcing paper sustainably, and conserving acreage of working forests around the world equivalent to its virgin paper footprint. The Conservation Fund is committed to identifying and conserving those acres in the U.S. 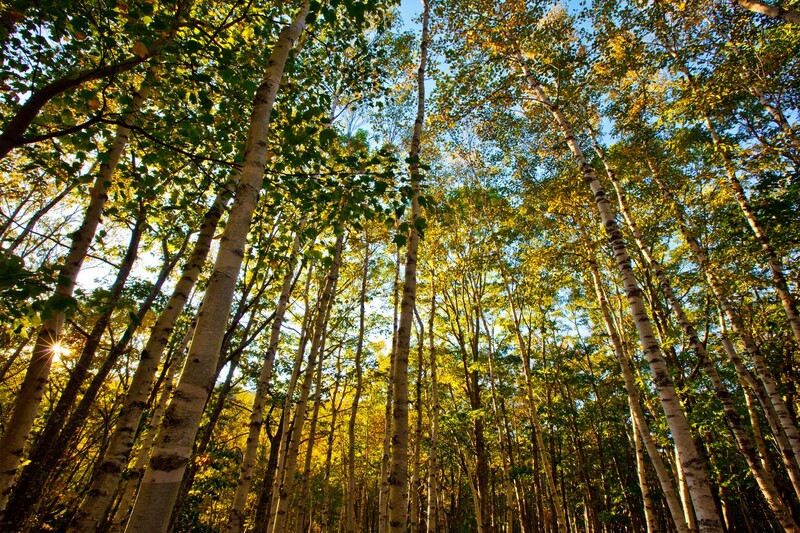 Through conservation easements, they will ensure these lands remain forests in the future. This helps preserve the supply of raw materials for paper while providing permanent environmental protection and fighting climate change. Together, Apple and The Conservation Fund are permanently protecting over 36,000 acres of working forest in the eastern U.S. In the Reed Forest of Aroostook County, Maine, wetlands, rivers, and upland forest provide refuge for Atlantic salmon, bald eagle, and Canada lynx. And in Brunswick Forest located in southern North Carolina, the high-quality pine savannas and unique plants and flowers have long made this land a conservation priority. Keeping these working forests intact will ensure continued fiber production and protect jobs and recreational opportunities. The collective annual production of paper fiber from these two forests is equivalent to nearly half of the virgin fiber that went into iPhone, iPad, iPod, Mac, and Apple TV packaging last year. Our hope is that other companies will consider joining with The Conservation Fund in evaluating and zeroing out their own forest footprints. We have a short window to get this right. If we don’t protect this crucial part of our ecosystem now, we may never be able to put the pieces back together. Lisa Jackson is Apple’s vice president of Environmental Initiatives. Larry Selzer is president and CEO of The Conservation Fund.